Call now for immediate response! We do not charge for the call out or travel time. With you within 30mins of your call. when we can repair it! 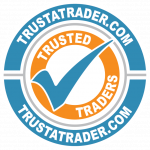 We have LOCKSMITHS ready to answer your questions! With over 10 years’ experience in the security industry, The Lock Father is a well trusted company that throughout the years has been providing customers with a 24 hour emergency and non-emergency Grays Locksmith services. Renowned for providing both commercial and domestic customers with exceptional quality services, The Lock Father only use staff that have been professionally trained to the highest standard, and are therefore in the best position to offer you advice on the ideal security services for you. Whether you have suffered from a burglary, have lost your keys or are looking to meet your insurance requirements with a more adequate lock, The Lock Father can help. The Lock Father offers a professional service for the installation and repair of your door locks, window locks and garage doors. Locks can also be installed, replaced or fitted for fire escapes and domestic roller-shutters, helping you to achieve maximum security. However, although having additional locks installed for your doors and windows will help to dramatically increase the security of your home or commercial building, it is important to remember that the majority of break-ins occur as a result of doors and windows being left open. Therefore, we always encourage customers to remember to always keep windows and doors securely shut. The Grays Locksmith has years of experience with both domestic and commercial clients. 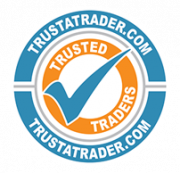 Read all our reviews over at TrustATrader.